Update: Blogger have already implemented its own version of expandable post summary which they call JUMP BREAK and which require no or very little coding on your part. Being wanting to update this with a new post on JUMP BREAK but need pushing. If you are looking forward to reading a new post on JUMP BREAK, do give me a nudge at my contact form. Expandable post summary is the term applied to blog posts where only short snatches (usually the first few paragraphs or sentences) are displayed with a link at the bottom that may say, usually, "Read More..." which if a reader is interested and when clicked, takes the reader to the full post. Expandable post summary is useful if you have the habit of writing long posts and you don't want your visitor to scroll through long line of text to see the next post in your main (home or index) page. To execute expandable post summary for your blog, the first thing you have to ensure is that "individual post page" (permalink) is enabled. 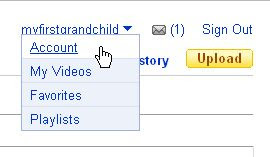 Sign into Dashboard, then in the section for the relevant blog, click SETTINGS, then ARCHIVING and ensure that ENABLE POST PAGES is set to YES. to mark the beginning and the end of the necessary codes. These comments are not essential, and do not do anything except to tell the reader of the program what the codes are for, where the hack begins and end and is a very common practice to document programs so that it is easier to read and understand, and to edit if necessary. where the codes in black are the existing codes and the codes in green are what you add in. When done, save the template. then save the settings. If you do this, then each time you create a new post, the above codes will already be in the post editor window. Then all you have to do is to delete "Type your summary here" and replace it with the beginning of the post you want displayed in the post, then delete "Type rest of the post here", leaving <span class="fullpost"> at the place where you want the post summary to end, and type in the rest of the post. The last line of the post should be </span> which had already been added in by the post template. and leave out "Type your summary here" and "Type rest of the post here". Then you will not need to delete anything, just type in the part of the post in the relevant section. There is so much information about what is healthy and nutritious these days that it is very difficult to sort out the hype from the truth. Following a healthy diet can be accomplished by making some simple adjustments to your current diet. If you think it is just too much trouble to make some simple changes to improve your family’s diet, think again. Most people do not realize the incredible impact that a healthy diet has on our bodies, making the difference between poor health and good health. Along with regular physical activity, a healthy diet is the most important factor that determines your weight. If you are overweight or obese, your chances of developing many diseases or conditions, including heart disease, diabetes, high blood pressure, osteoarthritis, and certain cancers, increase significantly. Your first step to following a healthy diet is to make sure you include food from all food groups. Vegetables, fruits, whole-grains, legumes, lean proteins and low fat milk products should all be incorporated into your daily diet. *VEGETABLES – A diet rich in fruits and vegetables can lower the risk of heart disease, stroke, and cancer. It also contributes to a healthy weight, reducing your risk of obesity and the conditions associated with it. There are a multitude of vegetables to choose from, the healthiest being dark green vegetables like broccoli, lettuces, and kale, orange vegetables like carrots, sweet potatoes, and squash, and red vegetables like red peppers and tomatoes. *WHOLE GRAINS – Choose whole grain cereals, breads, rice, and pasta. Read the food label and make sure the grain that is listed such as wheat, rice, oats or corn is referred to as WHOLE in the list of ingredients. Whole grains are an excellent source of fiber. Fiber can help reduce your risk of diabetes, heart disease, and cancer. *LEGUMES – This class of vegetable includes beans, peas and lentils. They are low in fat, contain no cholesterol, are high in protein, and have phytochemicals, compounds that help prevent heart disease and cancer. They are also a good source of fiber. Add pinto, kidney, black and garbanzo beans, split peas and lentils to your daily diet. *LEAN PROTEINS – Choose lean meats, poultry, and fish. Bake, broil, or grill it. Do not fry! Beans, nuts and seeds also provide protein. *LOW-FAT MILK PRODUCTS – Eat low-fat yogurt, low-fat cheese or low-fat milk every day. Dairy products can lower your risk of diabetes and help build strong bones, reducing your risk of osteoporosis. There are a variety of foods that should not be present in your diet except in very small amounts. These foods, such as sugars, alcohol, and some fats, contribute to diseases and poor health. *SUGARS – Avoid foods containing sugar. You know what they are! Always check food labels to see how much sugar is present as some foods contain sugar that may surprise you. *ALCOHOL – Avoid alcohol. If you must drink, limit intake to one drink a day. Alcohol can increase your risk of many conditions including some types of cancers. *FATS – There are different kinds of fat in our foods. Some are detrimental to your health and others are very healthy. These fats raise your good cholesterol levels. To stick to a healthy diet, choose foods with these fats. 3. Saturated fat and trans fatty acids raise your bad cholesterol levels, contributing to your risk of heart disease. Limit your intake. Saturated fats are found in beef, veal, lamb, pork, lard, butter, cream, whole milk dairy products and can be present in processed foods like frozen dinners and some canned food. Always check food labels before purchasing. Trans fatty acids, the kind of fats that increase the risk of heart disease, are formed during the process of creating cooking oils, shortening, and margarine and are found in commercially fried foods, some baked goods, and crackers. When checking food labels, make sure the ingredients do not include hydrogenated fats. Following a healthy diet is a necessary step for the improved health of you and your family. It is not difficult to make the simple changes necessary to change an unhealthy diet to a healthy one. The advantages, better health, longer life, and more energy, far outweigh any inconveniences you may experience. Do whatever editing you need to do, then press ctrl+A (or right-click and chose "Select all") to highlight all the edited template in Notepad to copy into clipboard. Go back to the template editor. The whole unedited template should still be highlighted. Click the DELETE key and the template editor window will become empty. Paste the edited template into the empty template editor window, preview, then save. Update 10 March 2007: There have been numerous enquiries about how to not display the "Read More..." link in short post with nothing additional to read. Unfortunately, this hack will place the "Read More..." even in short posts. Perhaps a good way to let your readers know that there is no more is to add in the word END OF POST. THERE IS NO MORE at the end of the short post. Alternatively, if you don't want "Read More" to appear in short post, refer to Testing Hackosphere peekaboo expandable post summary. This long post Guanxi. The First Word in Chinese Trade. On the other hand, a short post in the same blog Why the emphasis on things Chinese has no "Read More" at the bottom of the post. Update 21 April 2007: Someone asked for help because she spent hours and couldn't implement this hack. The reason was she used a non-standard template and <div class='post-body'> didn't exist in her template. I had to spend some time to find the alternative place to paste the script for the hack. See the comments. Acknowledgement: This post is a redo of Ramani's Expandable post summary with beta hack which I believe contain some additional information you should know when doing the hack plus I have attempt to make it easy, clear for those new to Blogger to follow the full instruction and implement it. DIFFERENT post or webpage. If you are looking to linking from one part of a page to another part in the SAME page, then refer to How to enable visitor to jump from one part of a page to another part in the SAME Page. This is how you can link a particular spot in a page/post to a particular spot on a DIFFERENT page. Let's say you want this link Vitamin D to a particular spot on another post of another blog: Get a dose of sunshine. It is good for you, in particular to a particular word "Vitamin D" in that post, which can be the same or different blog. This had been done. You can click on the link "Vitamin D" above and see where it takes you. Note that clicking on the link "Vitamin D" at the top of this page opens up a new window to a spot in the middle of a page with the word "Vitamin D". If you don't need the link to open in a new window, just leave out target="_blank" in the HTML. Incorporate AdSense ads in your New Blogger blog post. You are permitted to make minor edits in Blogger Beta. However, please keep in mind that in general publishers are not allowed to alter the AdSense ad code for any reason. Once you've generated the ad code in your AdSense account pages, you may not alter any portion of the code or manually change the layout of the ads. Having received some kind of reassurance, I proceeded to test his hack in this blog: Good Parenting Practices and it worked. You can see AdSense ads (half banner) at the bottom of the first 2 post as I already have 1 skyscraper in the sidebar. Theoretically, there should be ads in the remaining posts, but they are suppressed by AdSense, so there are only the maximum 3 ad units in the main page. If you want to see an example of a New Blogger blog with AdSense incorporated into the top of the post, look at this blog Recreation and Sport. This is how it is done. You generate the AdSense script from AdSense site, then replace HTML characters like < with etc. You can read more about it at Google AdSense In Blogger Beta XML Update. You can actually parse the script in Notepad using Replace All, but Stavanger has even made it convenient for you by giving a parser at Parse Google AdSense For XML Blogger:. Update 28 April 2007: This update should have been made earlier, but I only recently review the post when I got a query from a blog reader. And alternative to replacing < with , etc, is to remove the comment tags and from the AdSense script. I have written to AdSense Help, but if my memory is OK, they did not reply. I also posted in a pinned message in the Google AdSense Help group and added to the subject "It is not OK. Will AdSense allow it" but found that the message was deleted and the subject was changed back to the original title. AdSense allows max 3 ad units, and if you have more than 3 posts in the main page plus an ad unit in the sidebar and an ad unit in the footer, you will get 3 ad units displayed in the main page. The rest of the posts will have the ad suppressed, and the ad in the sidebar and the footer wouldn't display either. However, in the individual post page (only one post) the ad in the post plus the ad in the sidebar and the footer will be displayed. The last time I implemented something like this, I contacted Adsense Support and they replied that it is OK for THAT blog, but didn't say anything about other blogs, so it is left hanging whether we can just implement it and leave AdSense to suppress additional ads or we have to get their permission each time we implement it. Anyway, you can either protect yourself by limiting the number of posts displayed on your main page, use this is at your own risk or verify with Adsense Support. Update 22 2007: Actually new about this new feature in New Blogger sometime ago, but was reminded by an email from AdSense so I went ahead and tested it out. You can read about it at AdSense between posts direct from Blogger Layout (click BACK button to get back to this page). However, some people do not like that because that email address you put in the link can be harvested by robotic programs for spam. However, I have created a Gmail address specially for this purpose, and used the links for my blogs, and it has worked OK so far. I do get spam, but Gmail spam filter is very good and practically all ended up in the spam filter and only an occasional few get through which is simply dealt with by deleting. There are also other ways for you to let your readers reach you. One of them is showing your email address in your profile. Another way to to generate a graphic that shows your email address either by yourself with a graphic program, or to use email graphic generators like E-Mail Icon Generator which can generate a graphic such as this one: . In this case, your reader will have to manually type in the email address into their compose window of their email program. In this way, your email address will be visible to your readers who can read the graphic, but the email address will be hidden to the email harvesters as they cannot read graphic. You can see an example of this in the blog Site Promotion Tips. It is at the bottom of the right sidebar, below the Profile. Note: A number of inconsitencies have been found as I am editing this post. I will have to do many tests later and reedit this post. Please be patient. A reader asked for a hack for RECENT POSTS for the New Blogger (formerly beta). Have a look at this list of posts in this blog Natural Remedies. The RECENT POSTS is at the second from the bottom of the right sidebar, just above the "Contact Me" link. If you select the number of items to display to zero, then all the posts will be listed. I have limited it to 8 as showing all posts will give a very long list. Putting "Show item descriptions?" as 0 will give no description, 1 will give full description, and n>1 will display the first n characters of the description. The rest are self-explanatory. and also this time chose "Show title and description"
<!-- list of posts hack --> at the top of the script so that I will know what the script is for. Comments are not displayed on the Webs, and are good to document codes so that one will not forget what it is for. UPDATE: This hack does not seem to be working. Using the above feed URL, a List of Post is produced which does not show new posts added. I tried another URL, in this case, http://food-drinks-and-recipe.blogspot.com/feeds/posts/full. The first time, it was added, it showed a list of post. The moment a new post is added, all the post titles disappeared. UPDATE 23 January 2007: Someone commented in this post about using JSON. Did a Google search for "JSON blogger beta" and found this: JSON on New Blogger and a backlink to Blogger Hack for recent comments and posts. Added what I found in that blog, changed "comment" to "post" and got a list of post but with the title RECENT COMMENTS". Anyone knows how to change that to RECENT POSTS? UPDATE 23 January 2007: Found another hack at Beautiful Beta: Widget Installation and download page. The result of the hack is at the bottom of the left sidebar at Food, Drinks and Recipe. So now, you have 3 methods of adding List of Recent Posts. Own domain for blog hosted with Blogger: Why and how? Just read this interesting news that you can have your own custom domain, still use the Blogger platform and not need to get someone to host the blog because Blogger will host it for you for free! And you need not bother with FTP (File Transfer Protocol)! You don't even have to find someone to host your blog and pay for the monthly/yearly hosting fees! This is indeed good news for blogger who want their own domain like xxxxx.com instead of a sub-domain xxxxx.blogspot.com. See How do I use a custom domain name on my blog?. This is only for those who are using the New Blogger (formerly Blogger Beta), not for those still using the old (classic) Blogger. First, why some people want their own domain like myblog.com instead of myblog.blogspot.com. People have compared using blogspot for their blog to having a free Yahoo! or Google email address. They say having an email address like myname@mysite.com command more respect than having an email address like myname@yahoo.com. For me, I may quote the difference between having your business office at a proper office address rather than your own home. Also, you have more control over your site. You own the site, not Blogger. Blogger can't take the site away from you. However, to be fair to Blogger, Blogger doesn't take away your blog (even blogs which have been neglected by the creators with no post or no update for umpteen years, much to the chagrin of those who wants those particular URL), except for what they identify as spamblogs. It is pretty simple. The first step is to register a domain (.com, .net, .org, .us, .co.uk, etc). A place which has gained a reputation for cheap domain registration is godaddy.com. There are many others. 2. Open the Domains tab and select My Domain Names. You'll be directed to the Manage Domains page. 3. Click the domain that you'd like to use with Google Apps for Your Domain. 4. Click the Total DNS Control And MX Records in the box entitled Total DNS Control. 5. Click Add New CNAME Record. If you've already created a CNAME record for your website's address with Google Apps, click Edit next to the existing CNAME record. 6. Step 1: Enter the part of your website's address that you picked in your Google Apps control panel. For example, if you picked urban.mydomain.com as your address, enter urban for step one. Step 2: Enter ghs.google.com as the host name. Step 3: Leave as default selection. 7. Click Continue, and then click Add. If you're editing an existing CNAME record, click Continue and Update. Congratulations! Your CNAME record is now configured to point to Google. Keep in mind that changes to DNS record settings may take up to 48 hours. When you are done, just click "Save Settings". Then all you have to do is to wait a couple of days for your blog to be viewable at your new URL. Reason for the delay is given below. Yes, there are people who do not respect a person who has an email address like xxxx@yahoo.com. Yes, there are people who will not do business with someone who maintain an office at his own home. However, I believe that respect is earned, not bought. The respect that a blog command should depend on its content, not whether its URL is xxxx.com or xxxx.blogspot.com. Further, I do not want the bother of having to renew my yearly subscription for the domain name. If something happen to me and I cannot be around to renew the subscription, my blog will still be on the Web. If you use a custom domain, you will have to ensure by hook or by crook the subscription is renewed whenever it is due. I don't want that problem. Anyway, there are a great diversity of people, preferences, opinions, requirements, etc. To each his own. The Internet consist of a multitude of devices like computers, printers, Internet fax machines, etc. connected in a massive network sharing information with each other using a language called Internet Protocol (IP). Each of these devices have a unique IP address which is a number like 60.48.216.107. An IP address can be equated with a house address or telephone number in the physical world. However, numbers are hard to remember compared to an URL like http://blogger-tricks.blogspot.com. So, to make life simpler for folks like you and me, there are DNS servers that store information associating each URL to a unique IP address. So, rather than typing the series of numbers associated with my blog, all you have to do is to type in blogger-tricks.blogspot.com into the address bar at the top of a browser and the DNS server will translate this into that unique number that bring you to the server that store the files for this blog. Now the reason for the delay between adding the CNAME record for your domain with the DNS (Domain Name System) with the registrar and the time the blog at the new URL gets online. Your registrar will have to give the relevant information to a DNS server, which will then inform all the other servers in the Internet, and this take time. and a few more. Looks like it is better to hold off using custom channel until the dust clears. Someone commented in blog Blogger for Dummies and I went to his site Dogs Puppies Training and Care by Kevin the Collie. I noticed in his header a link which was in dark blue which merged into the dark green background and thus became almost invisible. I don't know if the color was controlled by the CSS (Cascading Style Sheet) or not, but in any case, if you want a link to be of a certain color, you should write the link in the following way (assuming you want it to be in red): <a href="URL><span style="color:red;">description</span></a>. Update: Someone asked whether it is possible to post things other than hyperlinks in color. Sure. Just enclose the text with the <span style="color:red;"> and </span> tags. For example you want these text to be in green, just put <span style="color:red;"> in front of "these" and </span> after "green"
"ok I have loaded a list, how do I play more than one song?" Give your new playlist a name, then click ADD. Search for more videos and repeat the ADD process till all the videos you want have been added. Note width and height (in red). If you want to edit the codes so that the width of the embedded video player is commensurate with the width of your main column or the sidebar, use the method to resize Youtube video with no distortion so that it fits nicely into your post or sidebar.